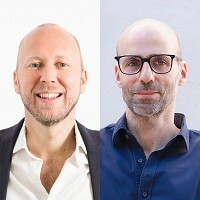 The team at TAPP Water, lead by co-founders Magnus Jern and Alex Schwarz, is driven by the mission to eliminate plastic water bottle waste, and they’ve turned to a surprising material to help. 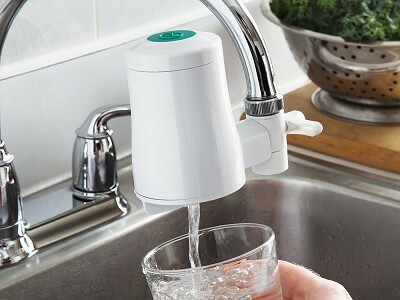 Their faucet filters are made with coconut shell carbon block that's mostly biodegradable, along with non-toxic bioplastics. A filter removes over 80 contaminants from water and can work for up to three months—the equivalent of filtering 400 gallons of water. Installation is straightforward and you can switch the filter on and off. And while a filter removes things like chlorine, lead, and pesticides from water, it leaves behind good-for-you minerals, like calcium, potassium, and iron. 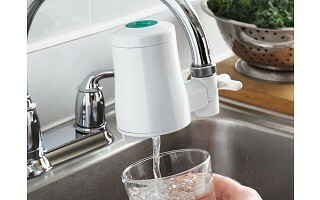 Want to get connected to what’s happening at the faucet? There’s a Bluetooth-connected filter that updates you via its app when it’s time to order replacement cartridges and tracks things like cost savings and plastic bottle waste saved. TAPP 2 refill cartridges are entirely made out of non-toxic materials which remain inert after decomposing. The cartridges contain a high percentage of biodegradable and compostable material and can be disposed of with organic waste. This organic waste ends up in an industrial composting plant where the cartridge breaks down within one to two months. 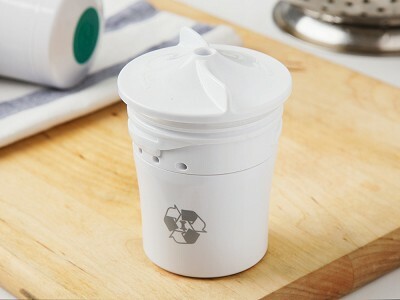 Alternatively, it can be discarded with general waste, where it will break down within a couple of years in a landfill or be burned without causing any plastic residue. It will also take a couple of years to break down in a garden compost, so TAPP does not recommended disposing in that manner. The device itself (without the refills) is made out of highly recyclable ABS polymers and can be disposed of with plastic waste. Why is TAPP 2 biodegradable? TAPP created the biodegradable refill cartridge filters, reaching a threshold of 76% total biodegradability. They've also taken great care to ensure the remaining 24% of the filter cartridge is non-toxic, inert, and will not harm the environment or marine life. TAPP 2 Click uses Bluetooth to trigger a notification on your iOS or Android device. You register your filter in the MyTAPP app and when you press the button, a notification pops up letting you know how much of your filter is used and how many bottles you avoided. TAPP 2 Twist is manual. You can register the filter in the app if you like. But you can also just twist the calendar to set it to three months from today (or the day you replace the refill cartridge). The filter has a calendar on it, which reminds you of when you need to replace the cartridge.